Russell, Loris S. and Erin James-abra. "Alice Wilson". The Canadian Encyclopedia, 20 December 2017, Historica Canada. https://www.thecanadianencyclopedia.ca/en/article/alice-evelyn-wilson. Accessed 18 April 2019. Wilson’s family was highly academic, including her father, John Wilson, a professor of classics at Victoria College at the University of Toronto, and two brothers, one a geologist and the other a mathematician. It’s suggested that Wilson’s love of geology came from summers spent outdoors canoeing, camping and collecting fossils with her family. In 1901, Wilson began an Honours Bachelor of Arts in languages and history at Victoria College. Due to illness, the degree wasn’t completed until 1911. 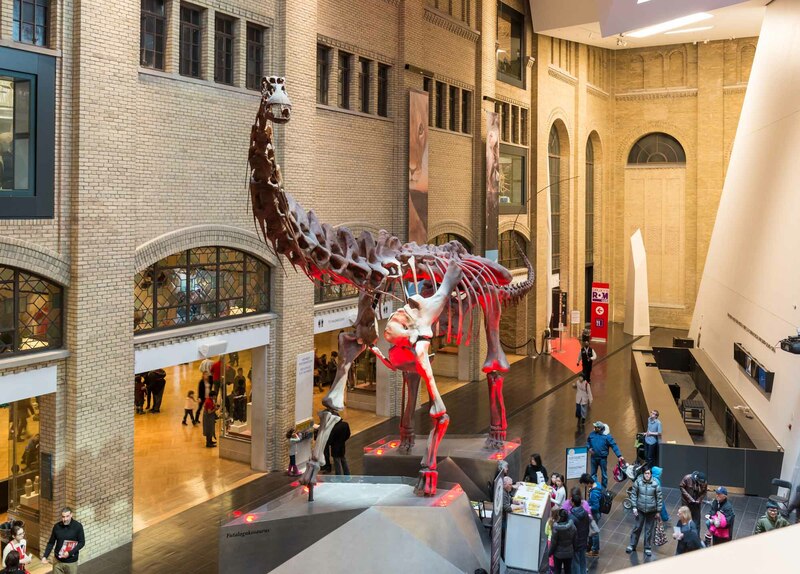 During a break from her studies, Wilson began work as an assistant at the University of Toronto’s Museum of Minerology in 1907. In 1909, she qualified to work for the Geological Survey of Canada (GSC) as a clerk in the invertebrate paleontology section at the Victoria Memorial Museum in Ottawa. 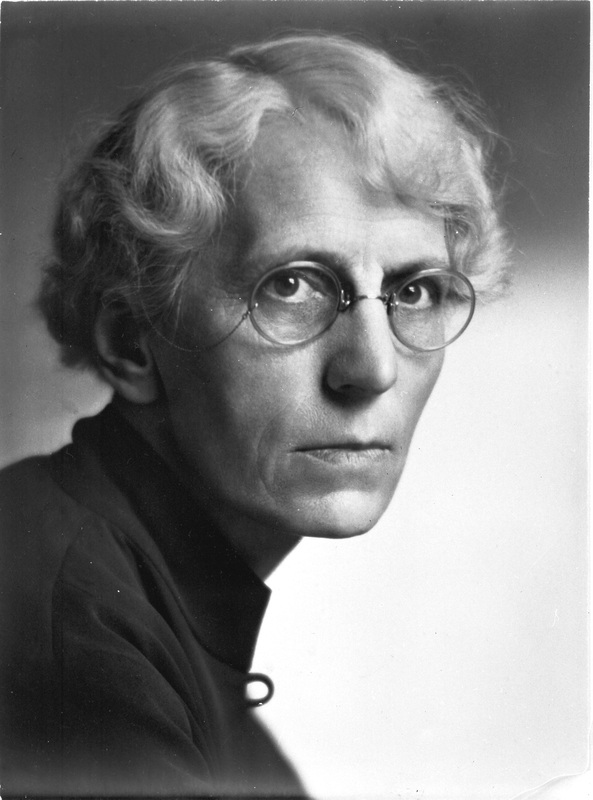 She catalogued and labelled collections under the mentorship of Percy Raymond, an American who was the GSC’s chief paleontologist at the time. It was Raymond who encouraged her to take a leave of absence in order to finish her degree. Upon her return in 1911, she was granted a permanent position with the survey. In 1915, Wilson applied for another leave of absence to pursue doctoral studies. At the time, the survey was granting paid leaves for academic work. She was denied. She continued to lobby her employer and it continued to refuse. In 1926, she won a scholarship from the Canadian Federation of University Women (CFUW); however, the GSC again denied her permission to study. The CFUW campaigned on her behalf, eventually succeeding. In 1929, at the age of 49, Wilson was awarded a PhD from the University of Chicago. 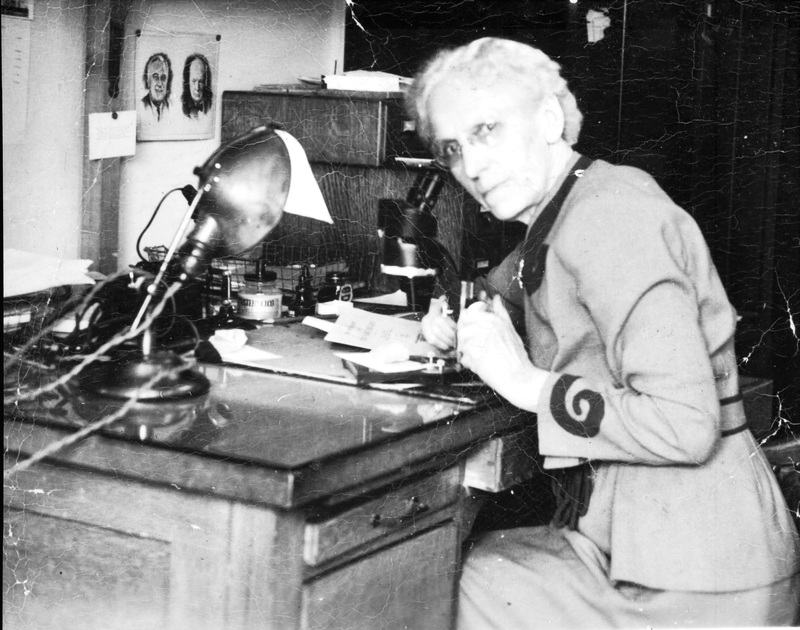 Alice Wilson in her office with a microscope. 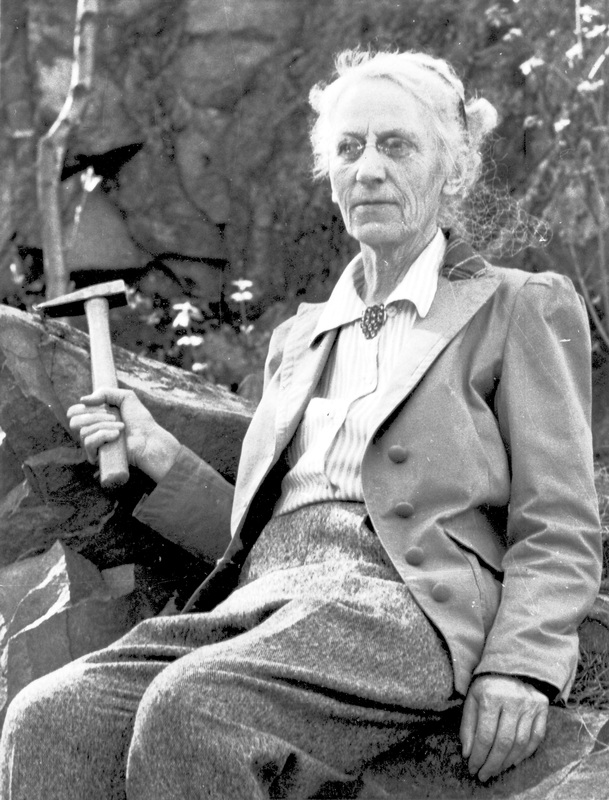 Wilson worked with the Geological Survey of Canada from 1909 to her retirement in 1946. While she did rise through the ranks of the GSC, her ascent was more gradual than that of her male colleagues. In 1920, she was promoted from clerk to assistant paleontologist, and in 1926 to assistant geologist (“geologist” was considered a higher designation). In 1940, six years before her retirement, she was promoted to associate geologist. Wilson’s work focussed on invertebrate fossils found throughout Canada from the Paleozoic era (252–541 million years ago) and in Ontario from the Ordovician period (444–485 million years ago). She also studied the stratigraphy (i.e., rock layers) of Ontario and Québec, and initiated studies of Ordovician fauna in the Rocky Mountains and the Arctic. 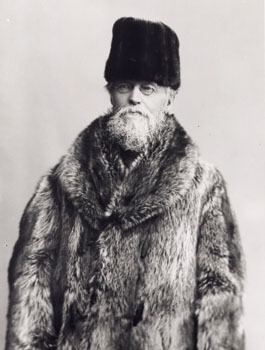 Ironically, Wilson’s important contribution to knowledge of the geology of Ontario and Québec was spurred in part by sexist policies at the GSC. While she wanted to conduct field work, the survey would not allow her to travel to remote locations with male colleagues (the survey barred all women from conducting field work until 1970). Instead, she convinced them to let her make short, solo trips into the relatively unstudied Ottawa-St. Lawrence Valley. She studied the area on foot and by bicycle. When the survey refused to buy her a car (something they provided to men in the field), she bought her own. Alice Wilson at Rigaud Mountain, Québec, May 1953. Following compulsory retirement at the age of 65, Wilson kept an office at the GSC until she was 82. She also taught paleontology at Carleton College (later Carleton University) from 1948 to 1958. In 1947, she published The Earth Beneath Our Feet, a children’s book about geology. Wilson was elected a Member of the Order of the British Empire in 1935. 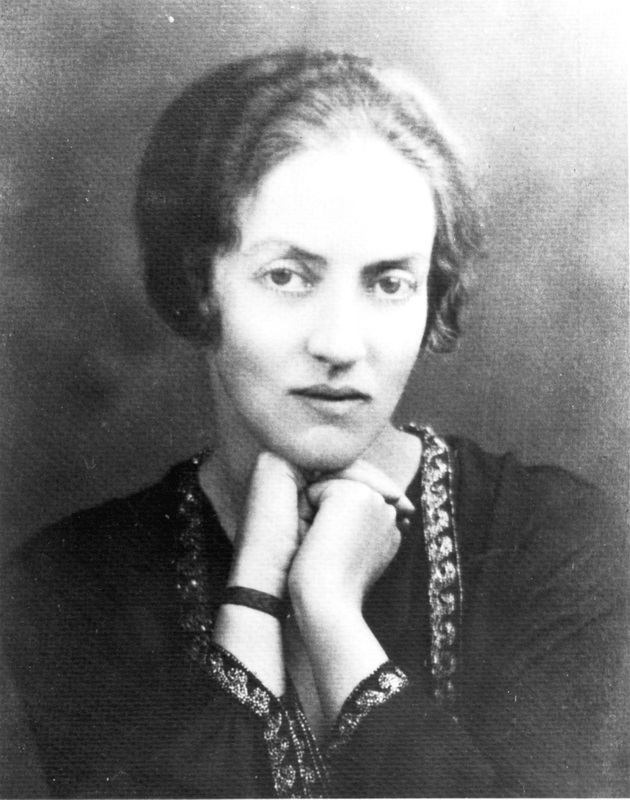 She was the first Canadian female Fellow of the Geological Society of America (1936) and the first female Fellow of the Royal Society of Canada (1938). In 1960, she became the first woman to receive an honorary doctor of laws from Carleton University.